As the summer weather slowly approaches, it's time to get ready for your favorite festival! 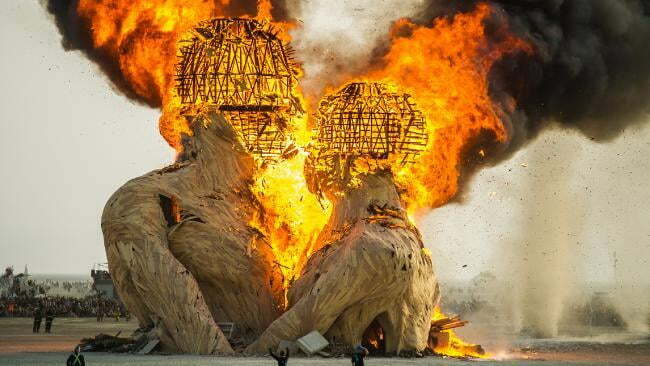 While everyone knows about Coachella and Gov Ball, have you ever heard of Burning Man? Let's just say it's not the most traditional festival. Burning Man is an event that brings together a temporary art community for a week in Black Rock City, Nevada. Self- expression is highly encouraged throughout the festival, where several figures crafted out of wood are set on fire: hence the name, Burning Man. At the end of the week- long event, all of the participants leave without a trace. Thinking of heading to Burning Man this August? 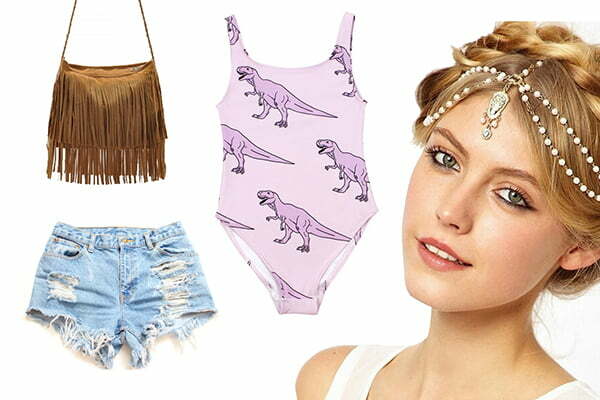 Here are some of our outfit inspirations- make them your own by adding all of the festival accessories that you love! Get ready for Burning Man with these styles from RebelsMarket. For an outfit that's edgy but still has a feminine flair, wear a structured black leather corset. Pair your corset with cutoff denim shorts or a skirt- keep an eye out for small details like studs and skull embellishments for a unique outfit. To protect your arms from the sun and wind (sandstorms may happen while you're at Burning Man), layer a lightweight kimono or an oversized cardigan over your outfit. This flowy piece will add a touch of femininity and balance out your form-fitting corset and shorts. Accessorize with embellished combat boots or hologram shoes and a pair of post-apocalyptic glasses- aside from looking awesome, these glasses are great to protect your eyes from the sand and sun. This is a great outfit for our punk rock girls. Keep your outfit simple with a lace bralette top and a pair of distressed jeans. Add a rocker edge with a black leather jacket, and decorate a pair of sneakers or combat boots to flaunt your creative side. Pick out a holster style bag to accessorize your outfit- not only will this make you look like Mad Max, but it also makes your style easier by not having to carry a bag around all day. Finish off your accessories by wearing wrapped leather bracelets with studs and chains. For our Boho girls, this is a perfect starting point for you. Wear a strappy swimsuit and pull on a pair of daisy duke shorts for an easy and comfortable outfit. To keep your look original, try adding iron on patches, buttons, and other embellishments to your shorts. Carry a skull messenger bag to hold your festival essentials and add edge to your outfit while you're walking around. If you're going for an intense makeup look, be sure it doesn't smudge during the day. Look for waterproof makeup so that you don't have to worry about it wearing off in the heat. Don't be afraid to rock colorful hair and add headdresses, flowers, feathers, and whatever else you can come up with. Check out this video for a great sweatproof base to your makeup look! This festival is all about creativity, so go all out! Do you plan on going to Burning Man this year? What style will you try? Let us know in the comments below!